Reinventing London: your invitation to a lecture this January! 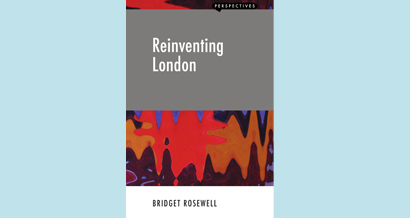 This January senior partner Bridget Rosewell will be delivering a public lecture on the changing shape of the London economy – presenting the challenges, opportunities and factors which will shape the future in the wake of the financial crisis, as set out in her new book, Reinventing London. The lecture will be hosted by think tank Centre for London at their headquarters in London Bridge on January 23rd from 5.30pm. The lecture will be followed by a drinks reception to celebrate the recent launch of Bridget’s book. If you would like to attend please register your interest by entering your details here. If you’d like to hear a little more about the themes Bridget will be discussing on the day have a listen to her recent interview with Romesh Vaitilingham at the Festival of Economics.